I want to explain for those who do not know how to use training mode properly. It's more than just a mode to practice combos. Most season veterans on our genre know how to train up or don't even use training mode as much due to old school play and figure it out style. Regardless it is a essential tool as most people actually do not have a big competitive scene such as Cali, NY, Texas, Fl, GA, etc. First off is basics. Figure out the feel for you character. This includes testing out various normals, uses for dashes, throws etc. Test out specials and get used to the recovery. Once you get that down start to test anti airs. I usually choose a wide range at different angles and normals. This includes testing anti-cross up tech. It doesn't have to hit to be useful, evasion normals are great also. 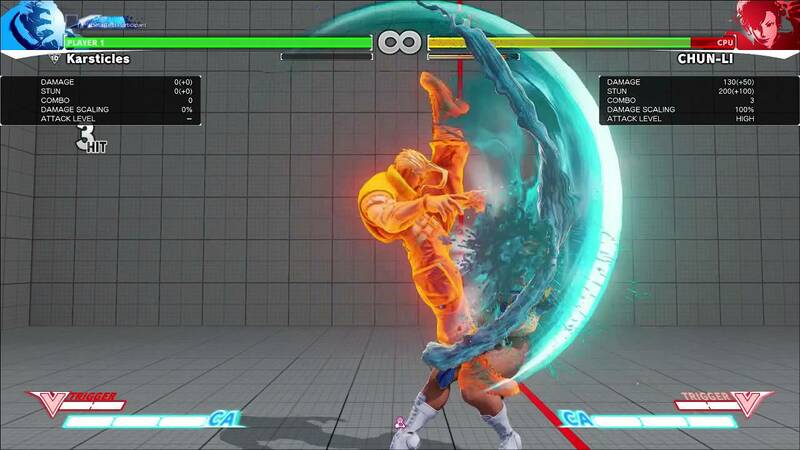 An example of this is R.Mika's c.fp, where she rolls in the recovery to avoid the cross up. Next start to figure out some basic combos. You aren't gonna be a master combo maker, but just some good punish and bread and butter. Keep it simple for now. Ok now that you got the basics down hit online for some matches. Use everything you tested in training and keep a note of what you have problems with. One example is when I was playing the beta with Charlie, a Karin player beat my c.mp anti air with j.hk. Noteworthy things like that keep in mind. Write everything down you lose to or haven't seen. Next head back to training. Everything you had issues with you need to find out how to counter. This is how you improve and is something you should always do for the life of the game. If something gives you trouble figure it out. You are going to repeat this cycle til you get in a good place. So stuff like that just comes from experimenting. Now this is just basic stuff that should help quite a bit (hopefully). If you have any questions, drop me a comment below.